"Mixed race" is becoming an important area for research, and there is a growing body of work in the North American and British contexts. However, understandings and experiences of "mixed race" across different countries and regions are not often explored in significant depth. New Zealand and Singapore provide important contexts for investigation, as two multicultural, yet structurally divergent, societies. Within these two countries, "mixed race" describes a particularly interesting label for individuals of mixed Chinese and European parentage. This book explores the concept of "mixed race" for people of mixed Chinese and European descent, looking at how being Chinese and/or European can mean many different things in different contexts. By looking at different communities in Singapore and New Zealand, it investigates how individuals of mixed heritage fit into or are excluded from these communities. Increasingly, individuals of mixed ancestry are opting to identify outside of traditionally defined racial categories, posing a challenge to systems of racial classification, and to sociological understandings of "race". As case studies, Singapore and New Zealand provide key examples of the complex relationship between state categorization and individual identities. 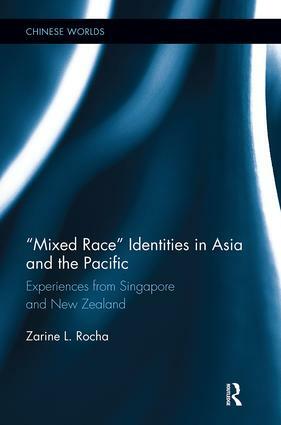 The book explores the divergences between identity and classification, and the ways in which identity labels affect experiences of "mixed race" in everyday life. Personal stories reveal the creative and flexible ways in which people cross boundaries, and the everyday negotiations between classification, heritage, experience, and nation in defining identity. The study is based on qualitative research, including in-depth interviews with people of mixed heritage in both countries. Filling an important gap in the literature by using an Asia/Pacific dimension, this study of race and ethnicity will appeal to students and scholars of mixed race studies, ethnicity, Chinese diaspora and cultural anthropology.